#567568. You can go fishing in the middle of the city. I did some adventuring this weekend but I have some research to do before I can turn it into something interesting. I hope everyone enjoyed their long holiday weekend! If ever there was a blog I wanted you pass around to all your friends, this is the one. I'm excited! You're going to learn so much! I'd been meaning to get to the Earthways Center for YEARS, but they are only open for public tours the 3rd Saturday and Sunday of the month and I just never made it happen until today. I'm going to jump around a bit between floors so you can see how the systems work together. 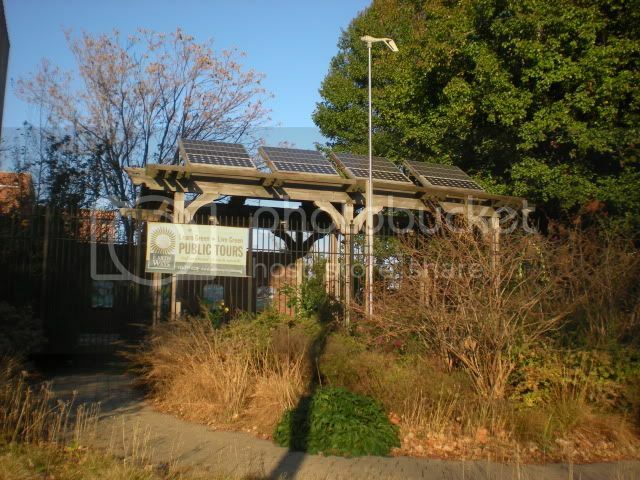 Above are the solar panels on a pavilion in the back yard. 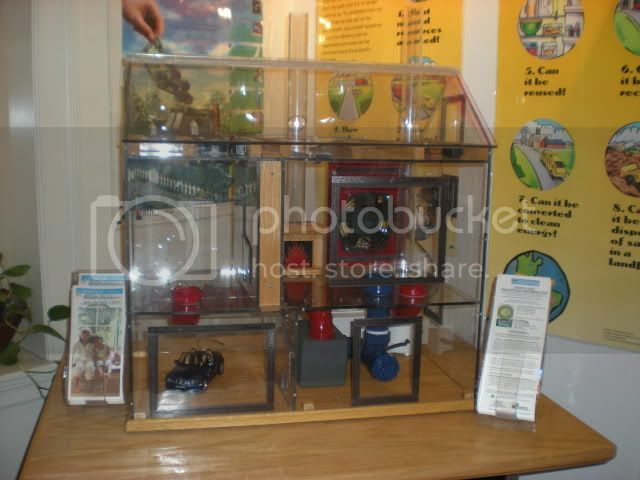 The next picture is in the basement, where the collected energy is stored in batteries in that glass-topped case. 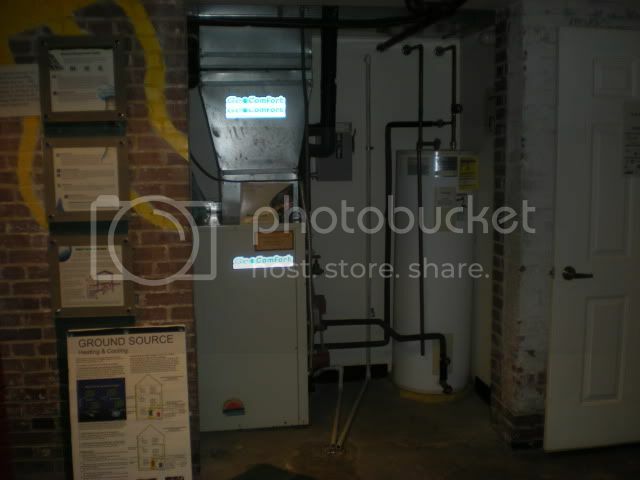 Here is the geothermal unit in the basement. Geothermal heating and cooling works by circulating a water-based solution through a buried loop system. Once you get a few feet down, ground temperature stays relatively constant. A geothermal unit practically eliminates your utility bills. Most of the cost is in the installation. 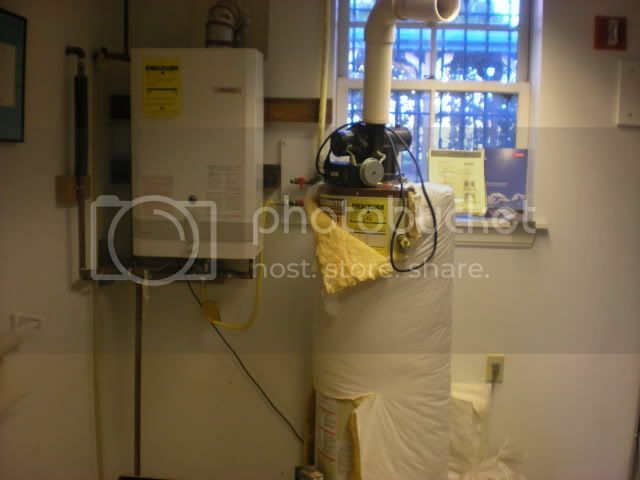 There is also a "regular" high-efficiency gas furnance that I didn't take a picture of. 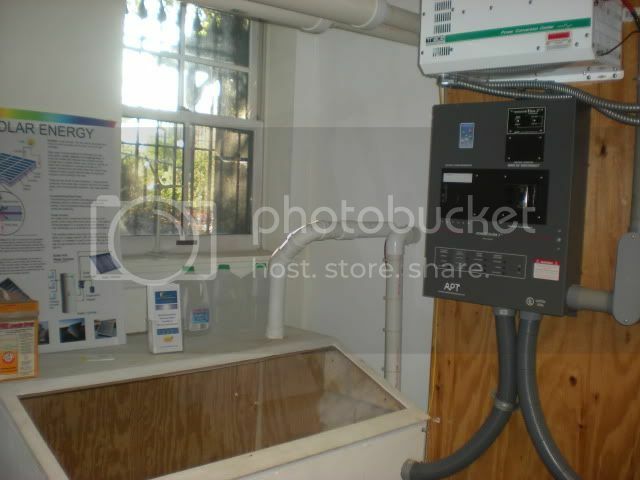 Above is both a conventional hot water heater and a tankless hot water heater. A tankless heater heats the water as you use it, rather than having a big storage tank. I've heard that tankless water heaters take forever to recover the cost of the unit and installation, so if anyone reading this actually has one, I would love to hear what you think of it. Back outside! 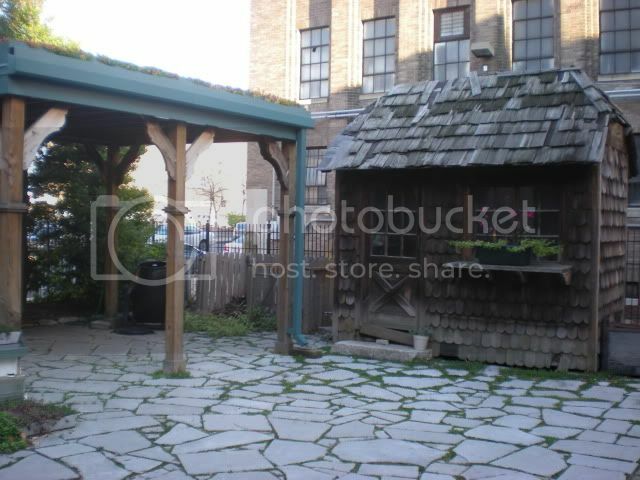 Here is their little potting shed and composting area. First, the pavilion. 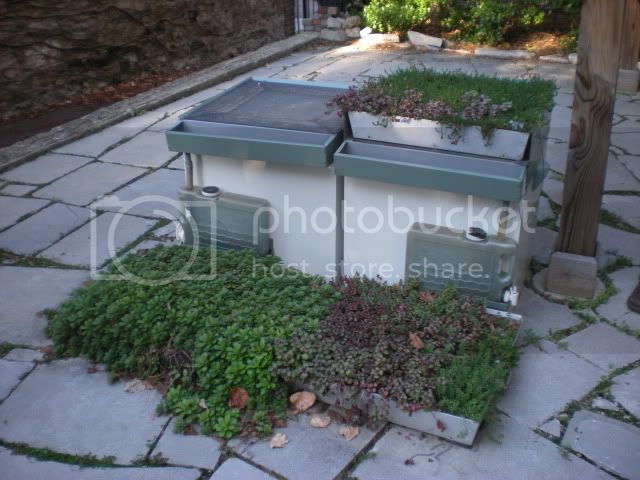 This was built to demonstrate the "living roof." They couldn't install it on the actual house because the pitch of the roof is too steep. This is meant for flat roofs. As many of you St Louis city-dwellers know, a flat roof is usually black tar, and black roofs and asphalt are the reason for the heat island effect. Installing a living roof, or even painting your roof white, helps reflect some of this trapped heat. Back inside! 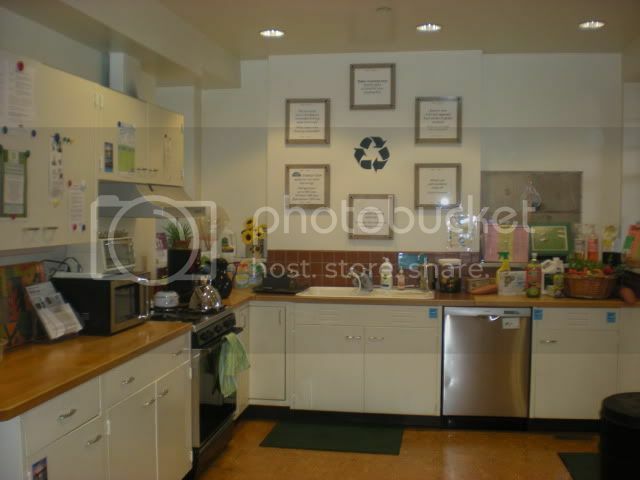 Here is the green kitchen. The cabinets and appliances are from the Habitat for Humanity ReStore, showing that you don't always have to buy new things made out of recycled materials. You can make old stuff new-to-you and support Habitat for Humanity at the same time! The floor in the kitchen is cork, made from the bark of the cork tree. The bark just keeps growing, which makes cork a sustainable floor. You guys know I'm a nerd about the floors (in fact, my company installed the Forbo Marmoleum on the stairs.) 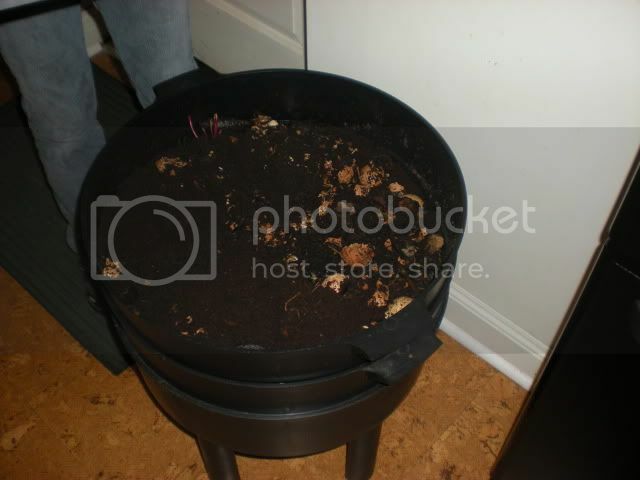 The real point of this picture, though, is the Can O Worms Composter for kitchen composting. As long as we're in the kitchen, here's a view of the insulation. 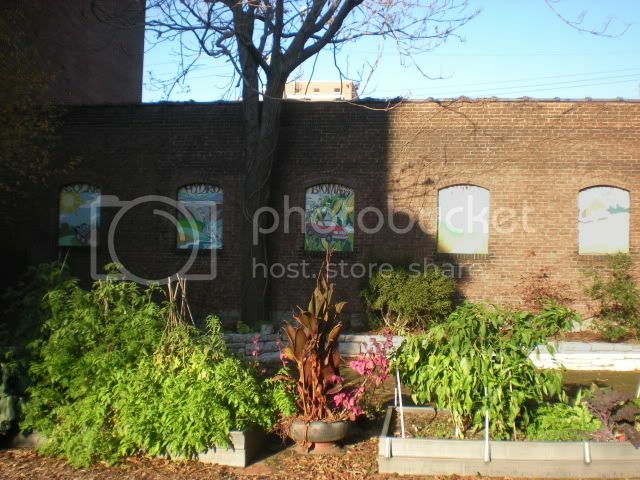 You will see in a couple pictures that the window sills are fairly deep. This is because brick houses were not usually built with much insulation, so when they gutted the house, they built the walls out with room for cellulose (shredded newspaper!) insulation. This is super cool. 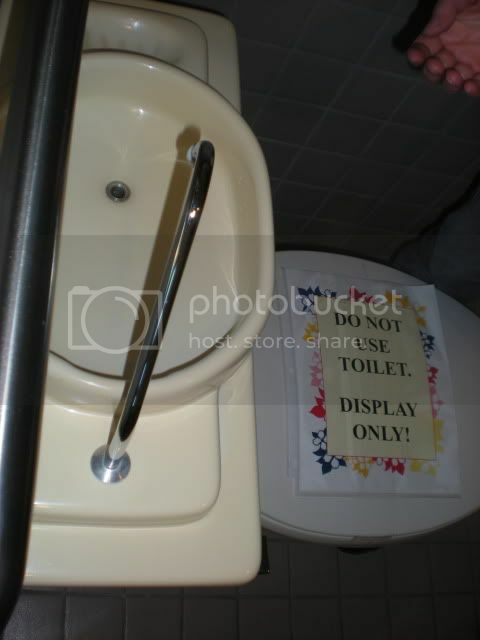 It's a little sink that you install on the back of your toilet. When you flush, the water runs through that spigot BEFORE filling the tank, so your "gray" water from washing your hands or brushing your teeth is the water that fills the tank to flush the toilet. Apparently these are not available in the US yet, but it looks super easy to install (a simple tube connected to a standard flush mechanism) and demand begets supply! Start demanding! Back out in the hallway, here we have a cool story. This original woodwork survived vandalism and thievery because it was painting baby blue and pink at some point. 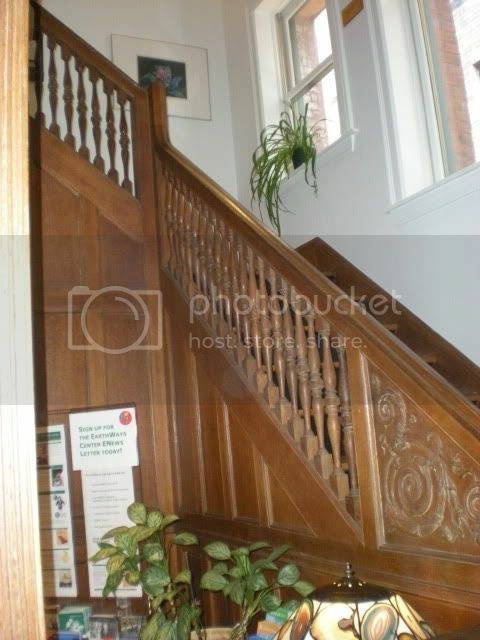 It was restored to its natural finish with a citrus based paint stripper. 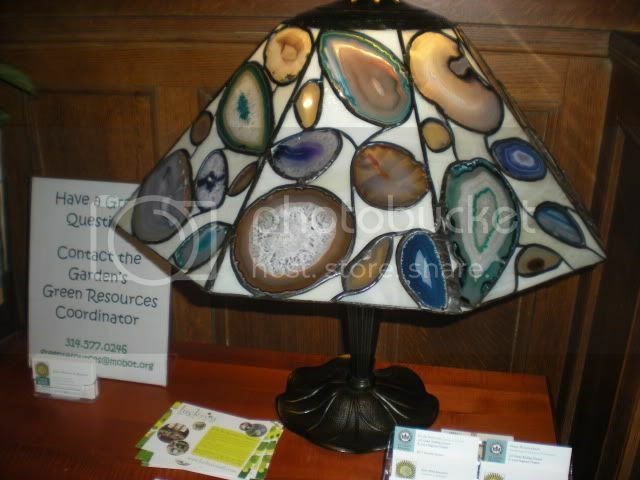 I just liked this little "stained glass" lampshade made out of slices of geodes. 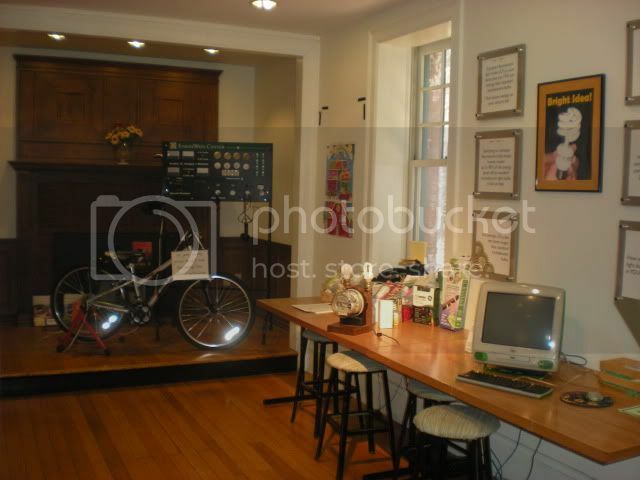 In what was formerly the dining room, there are displays of energy saving lighting options, and an "energy bike" to demonstrate how much more energy it takes to power an incandescent bulb vs a compact fluorescent bulb. 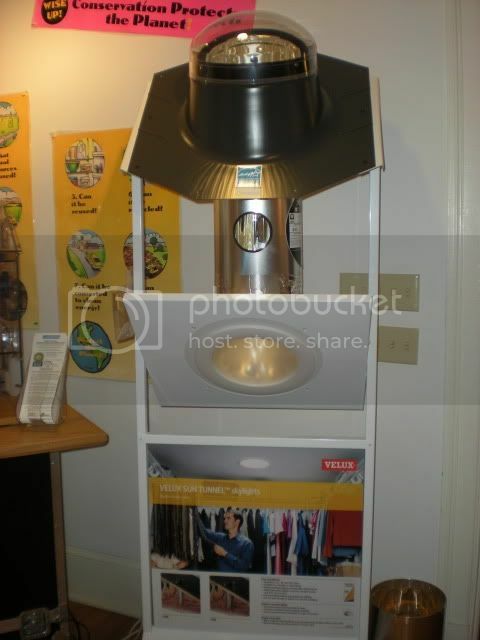 This is a model of a solar tube, the number one thing I covet for my house. When I get a new roof I want to put one in the kitchen and maybe one in the bathroom. You know flipping CFLs on and off cuts down on their lifespan, which makes them impractical for bathrooms. Plus, ladies, you know it's best to apply makeup in natural light! 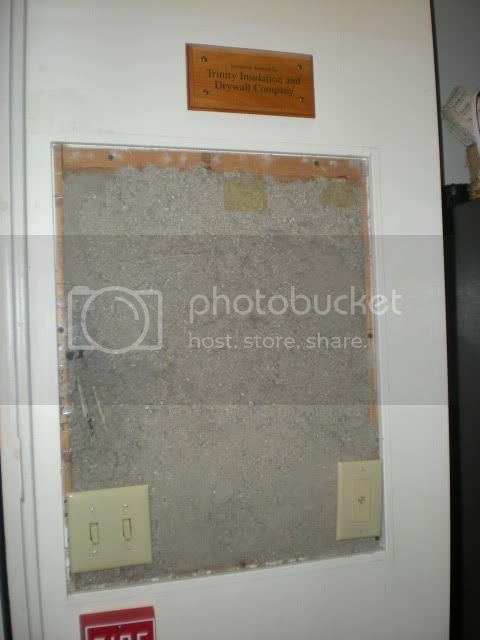 This is a model of how an energy audit works. For more information, go to the Earthways Home Performance With EnergyStar web page. One last thing! This is, in my opinion, one of the coolest things that MoBot does. In the spring, they set up collection points for empty nursery pots, hanging baskets, and cell packs. They recycle those pots into "plastic lumber" which are then available for purchase. 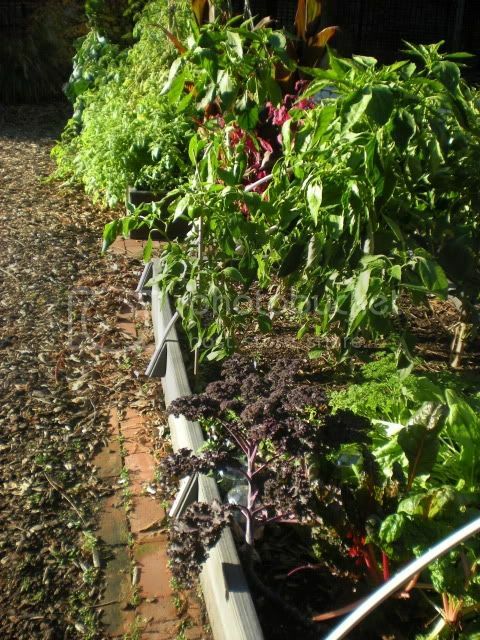 The raised beds in the picture are made from the kits that the Garden sells. The only downside is that they are pretty expensive, but they outlast railroad ties and the like, and they don't leach chemicals into your soil. So there you have it. 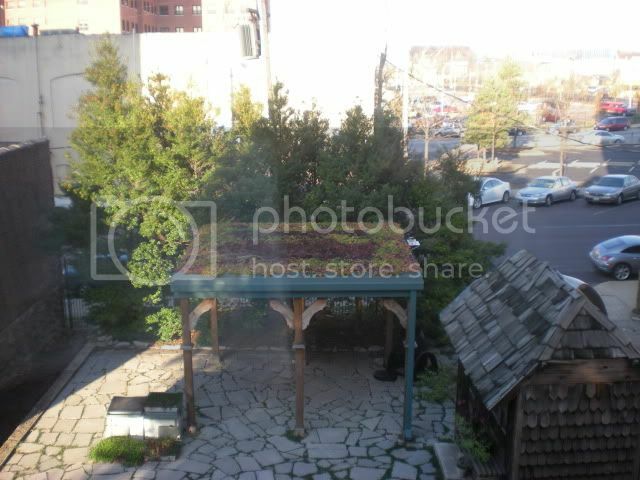 The Earthways Center is located at 3617 Grandel Square. As I said at the beginning, public tours are on the 3rd Saturday and Sunday of the month at 11am, 12pm, 1pm, and 2pm. 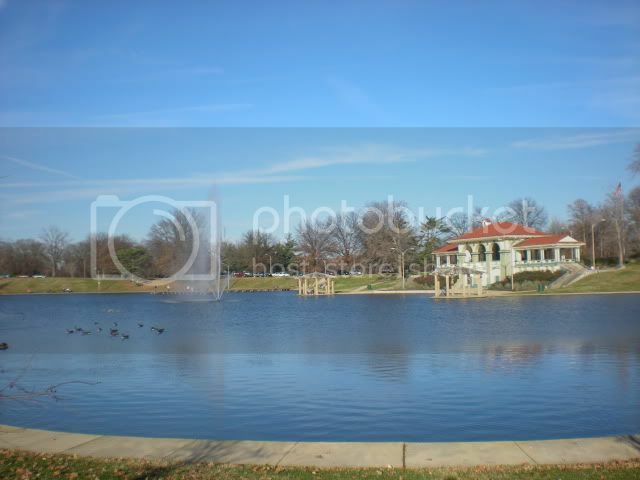 Cost is $3 (free if you are a member of the Missouri Botanical Garden.) The center is also available for private tours and field trips, and they have classes throughout the year. See the website for the event calendar. 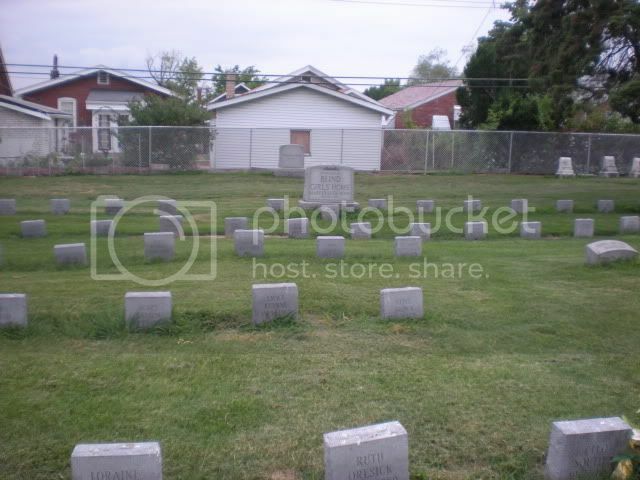 This is another cemetery that is a couple blocks away from my house. 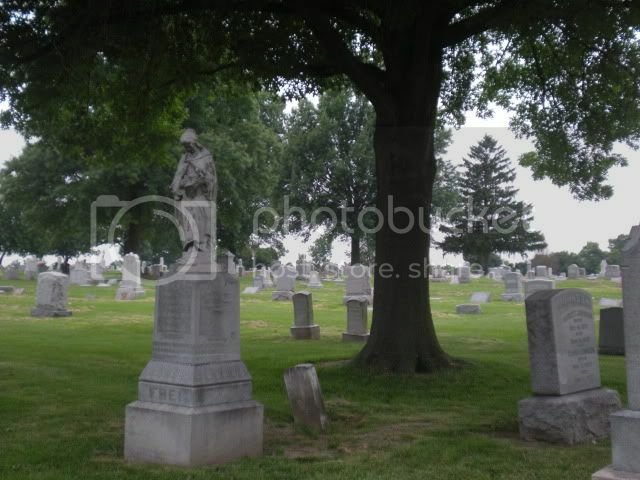 St Matthew Cemetery was established in 1877 at Bates and Morgan Ford. 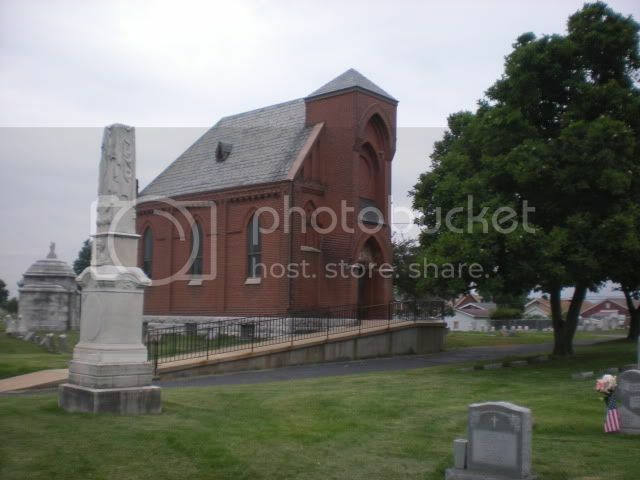 The chapel was added in 1887. 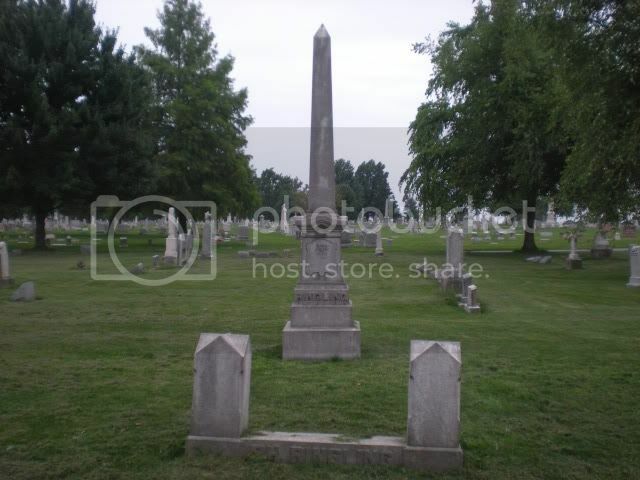 It is operated by St Matthew United Church of Christ at Potomac and Jefferson. St Matthew has very few trees compared to Concordia, the one behind my house, but I really like trees in cemeteries so I seem to gravitate to those areas. I was surprised to find out recently that this is not the prime real estate I thought it was. 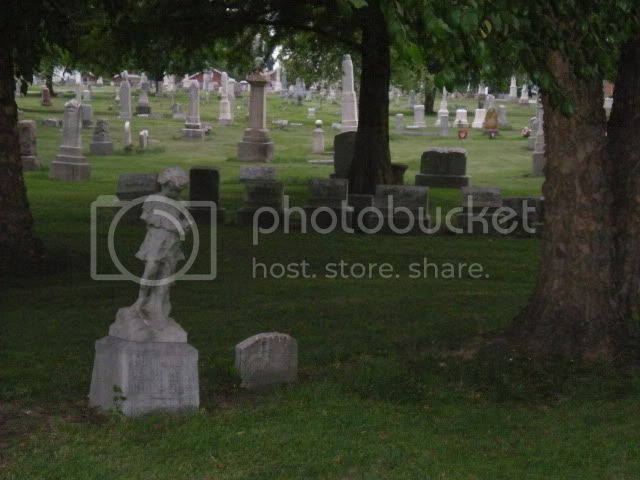 I would love for my final resting place to be under a tree, but apparently I'm in the minority. This stopped me in my tracks. 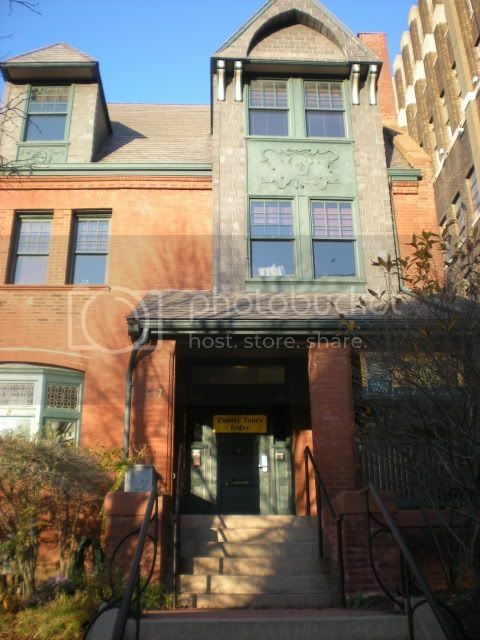 The Missouri Blind Girls home was established in 1866 by nine blind young women. It is known today as the Mary Culver Home, presently located in Kirkwood. The name was changed in 1993 "to better reflect the mature residents," so I take it that today it is more of a retirement community. You guys know I love the ceramic photos. This one is amazing. 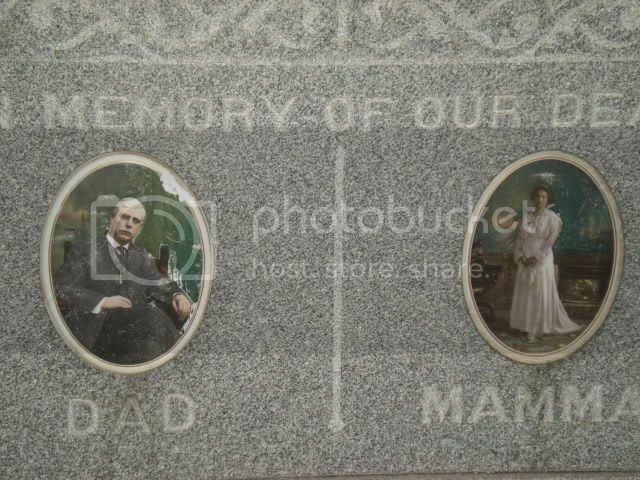 Mamma passed away in 1915 and Dad in 1945 and these tiles are still absolutely beautiful. 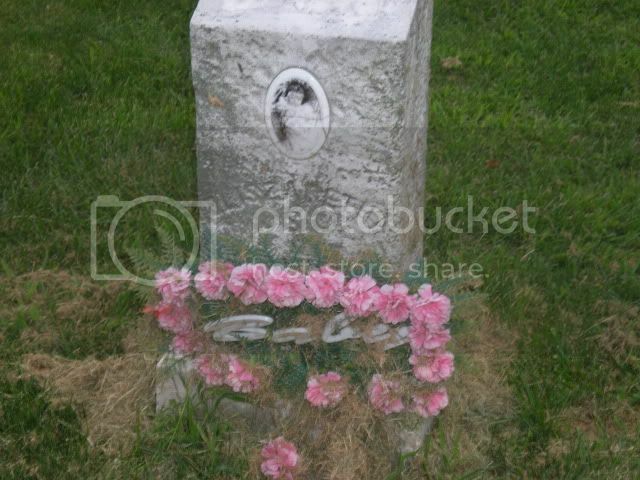 I think I have said this before, but I always find it so touching when I see a very old grave that is still tended to, particularly when it's a baby. 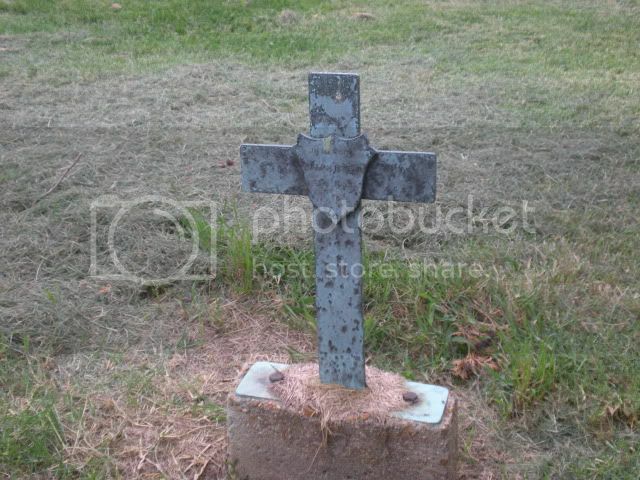 There are a lot of monuments and markers that are in sad shape in St Matthew. I always find myself wondering if there is any way to repair these, or if they would need to be replaced. 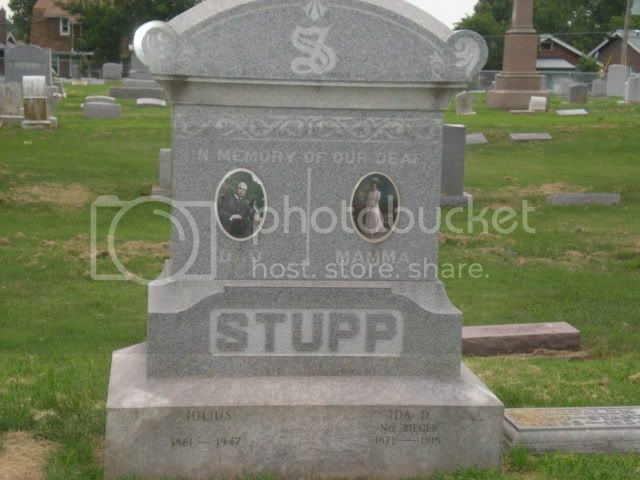 It makes me want to start an "Adopt a Tombstone" project, like one would adopt a stretch of highway. 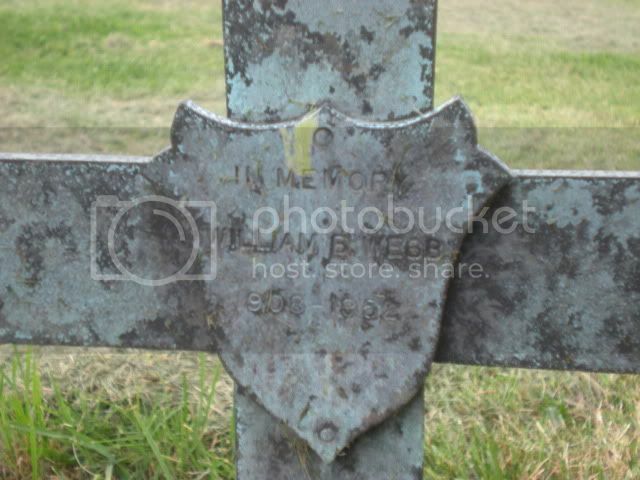 When I see markers like this, I always wish there was some way to find out what the story is. A marker made of anything other than stone is unusual in this area. Whatever the case, there should be more of them. I dig it. 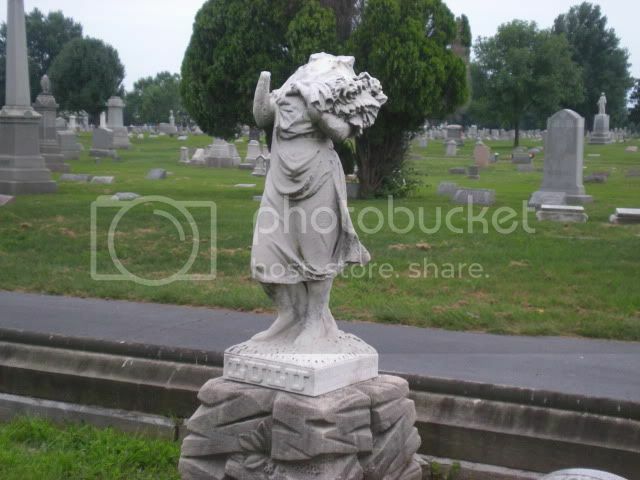 Behind the scenes fact: I always say these cemetery posts will be "quick" and then I spend an hour trying to figure out if this Ringling is related to THE Ringlings. I'm afraid I can't spend the rest of my life on this, so I have no conclusive answer for you. I didn't even notice the name until I was sorting pictures on the computer, so for all I know that says "Bingling." But I admit that I almost ran down the street in the dark to find out for sure. This blog is a labor of love, I tell you. 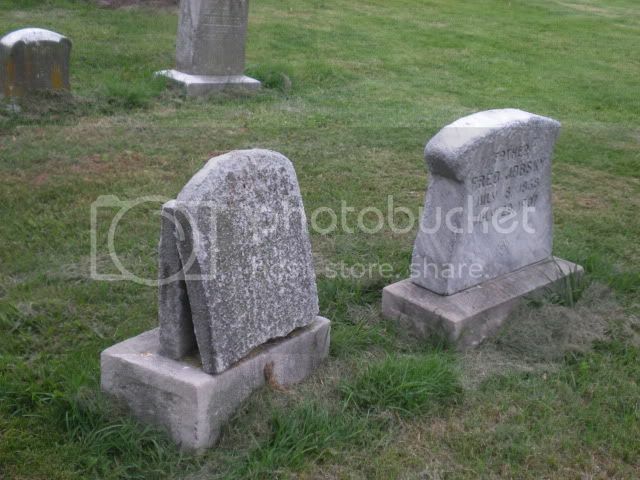 One final note: Someone was asking me in the last week about cemeteries in St Louis and small family plots or burials outside of large cemeteries. Hopefully it's someone who reads this blog regularly. 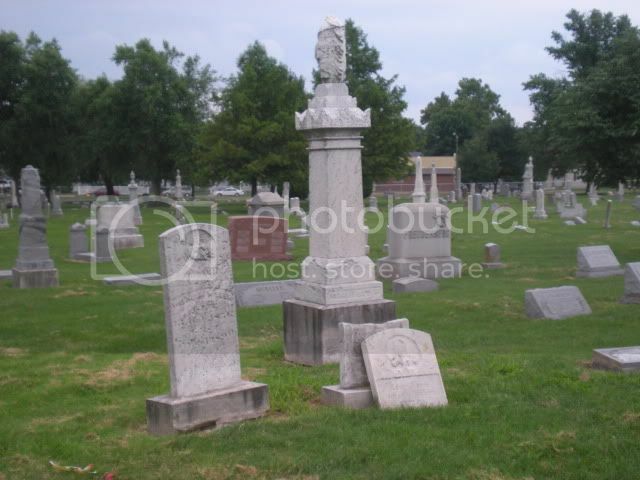 Here is the list of St Louis area cemeteries that I mentioned. Even if you are not that person, the list is pretty interesting! November is going to be all about cheap and free here at Craves, Caves, & Graves, thanks to a whopping vet bill and plenty of "doggie pacifiers" to keep a 70lb dog from running and jumping for the past two weeks. 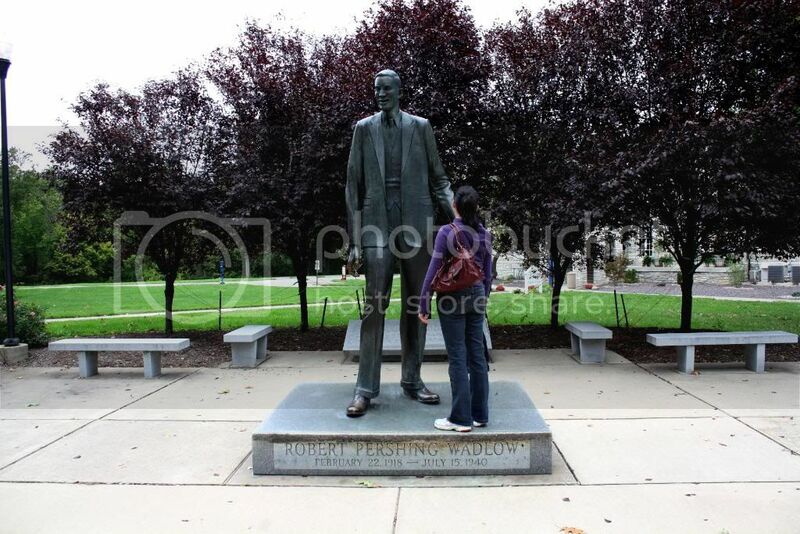 This is from last month when we went ghost hunting in Alton and finally found the Robert Wadlow Statue. So, Keith and I go to Alton at least once a year for the ghost hunting, with various different people in our group each time. 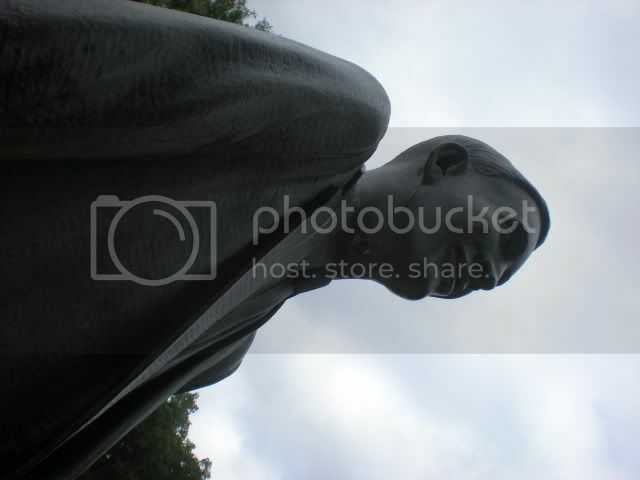 Every time, we try to find this statue, and every time we either have no directions, bad directions, or are unable to follow directions (that would be me.) You can imagine how dumb I felt as we pulled up and saw the above sign on the side of the road, one facing each direction. Beat me over the head, why don't you? Keith, who is 6'4", has always wanted his picture taken with this life-size statue. 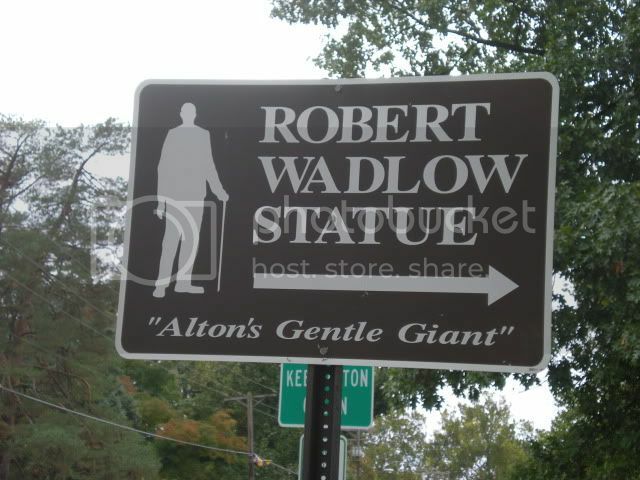 Robert Wadlow, Alton's Gentle Giant, was born in 1918 and was 8'11.1" when he died at the age of 22 from a blood infection. He was still growing when he died. You really cannot grasp how big an almost nine foot tall person is without standing next to them (or a life size statue.) It's really amazing. Me, awestruck. 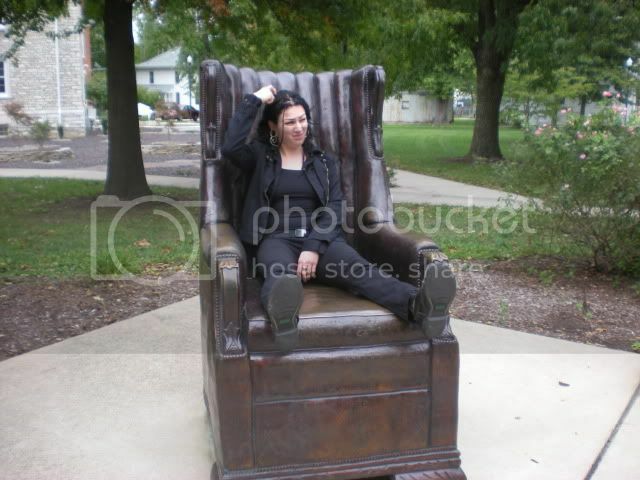 For sake of comparison, I'm 5'7". 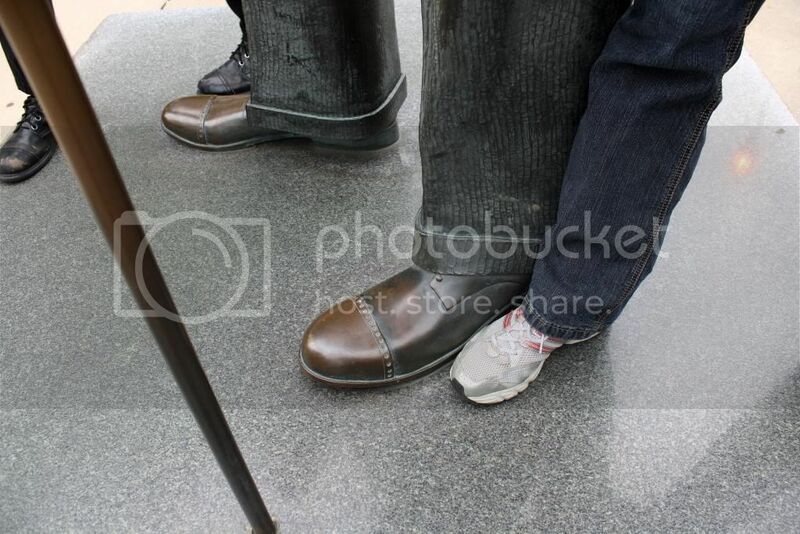 Robert Wadlow required leg braces to walk, and had little feeling in his legs due to poor circulation. His death was caused by the leg braces rubbing a spot on his ankle raw, which led to the infection. One of my favorite stories that Luke tells on the ghost hunting tour is about Robert Wadlow's travels. In exchange for touring around the country, the International Shoe company made his shoes for free. When he stayed at hotels, people would call the desk to report a peeping tom because he was tall enough to see over the transoms. The hotels would put four beds together for him to sleep on, and he would still have to sleep diagonally. Courtney in a replica of his chair, doing her best Edith Ann impression. 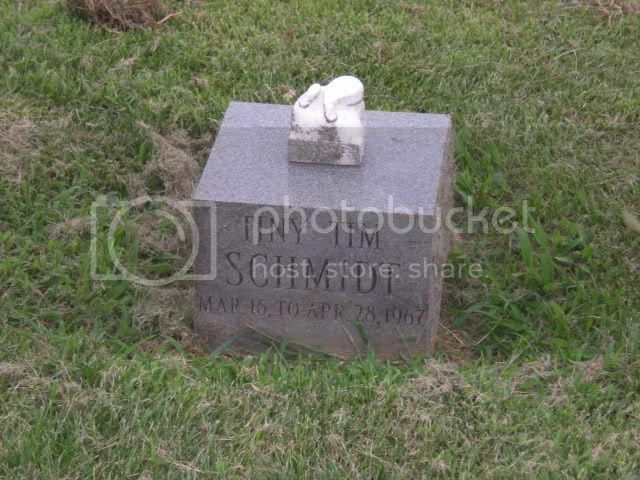 The saddest part of Robert Wadlow's story is the fact that when he died, his body was encased in concrete so that no one would dig him up and steal his bones. 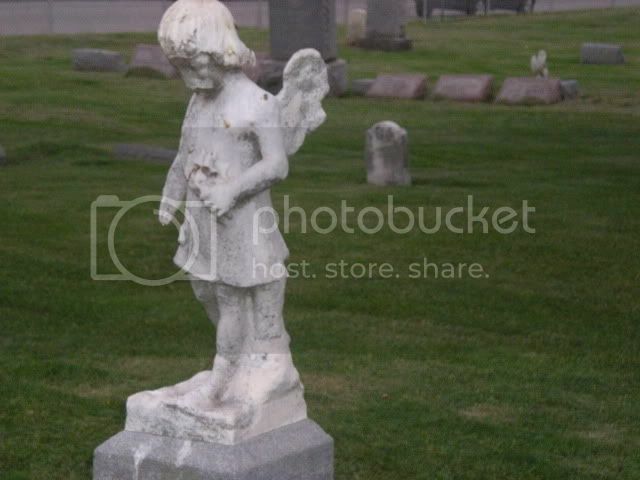 It's tragic that someone would have to take such pains to avoid being treated like a freak even after death. 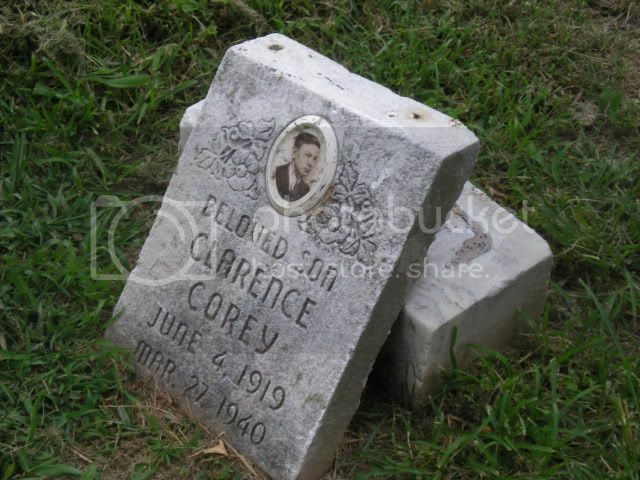 He is buried in the Alton Cemetery with a plain marker. This week, I leave you with a song: The Giant of Illinois by The Handsome Family.